Esports, and other games : Khahliso Malape is still SA's top ranked player for Pro Evolution Soccer. Khahliso Malape is still SA's top ranked player for Pro Evolution Soccer. 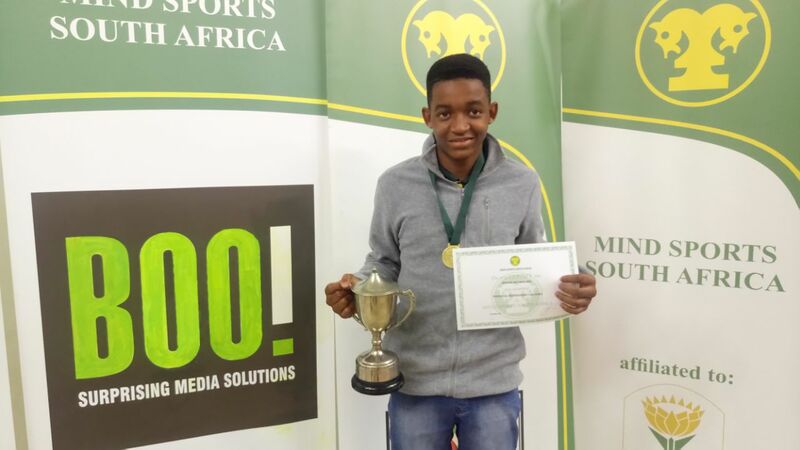 Khahliso Malape (Fakkel School, Sasolburg) on winning the PES 2017 esports title at the 2017 SA National Championships. Ranked first in the country for the esports title FIFA '17, Khahliso Malape (Fakkel School) has shown his dexterity in also remaining the top ranked player for the esports title of Pro Evolution Soccer (PES). However, his team mate Mpho Ntsala (Fakkel School) is keeping Khahliso on his toes by being just fractionally behind him. The difference in standard between Khahliso and Mpho is so slight, that when they play against each other, the match could go either way. As such, when they play, the crowd is mesmerized as the two battle it out.